With an enviable reputation and established following on the international cruise market, the premium 1220 passenger Vasco da Gama will join the Cruise & Maritime Voyages fleet in April 2019. Combining beautiful, contemporary decor with a more traditional cruise style, Vasco da Gama is small to mid-size, by comparison with the new mega-ships carrying up to 6000 passengers and is a wonderful new addition to the CMV fleet. The 55,877 grt Vasco da Gama has nine passenger decks serviced by eight lifts, is stabilised and air conditioned throughout and underwent a multi-million-dollar refurbishment in 2015. In preparation for her maiden CMV voyage, she will undergo further upgrading and livery change. The onboard facilities are impressive and include Hollywood’s, the fabulous two-tiered show lounge, where you may enjoy ‘big show’ entertainment from our talented singers and dancers or one of our special guest acts. With its panoramic seascapes, The Dome Observatory is a delightful venue to relax and watch the world sail by or to chat with fellow passengers, and at night, this is the place to be to dance the night away. By contrast, head to the Blue Room, the perfect venue to enjoy some musical entertainment after another wonderful day ashore or a nightcap before taking that final stroll on deck and retiring to the comfort of your cabin. All in all, there’s a choice of five lounge bars, a pool bar and four entertainment venues each with its own individual style. Which will be your favourite haunt? Vasco da Gama offers a choice of three main Waterfront Restaurants – Waterfront Restaurant, Waterfront Mediterranean and Waterfront Eurasia where, unlike our other ships, dining will be flexible and not fixed to specific sittings. You are therefore free to dine where and when you want to. In addition, there are two delightful speciality restaurants – The Grill and Chef’s Table (supplements apply) or, as an alternative, enjoy more relaxed buffet style meals at the Club Bistro. The impressive three-decked atrium is the focal point of the ship offering a shopping galleria, Reception, Shore Excursions desk and photo gallery. Elsewhere, you’ll find a cinema, casino, Trumps & Aces bridge and card room, arts and crafts area, meeting room, ship’s library and children’s facilities. Plus, there’s Cappuccino’s coffee shop and Gelato’s ice cream bar to tempt you. Vasco da Gama offers extensive deck areas and in keeping with her tradition, starboard and port side promenades with timber style decking. There are two swimming pools with the main top deck pool benefitting from a retractable roof so that you can relax in this stylish setting, whatever the weather. If you are feeling more active, then why not team up for a game of tennis or basketball. Be pampered at the well-appointed wellness centre with its beautiful spa amenities, make use of the hairdressing and beauty facilities, or work out in the well-equipped gym. Comfortable cabin accommodation ranges from standard to deluxe with 80% enjoying an ocean view. There are no less than 149 balcony cabins and 28 more spacious suites which also benefit from having private balconies. 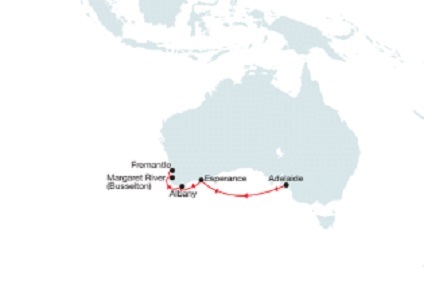 54 Night Cruise sailing from Amsterdam to Sydney aboard Vasco da Gama. 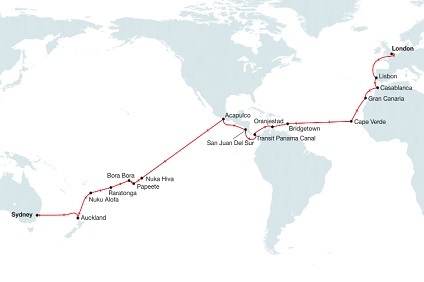 50 Night Cruise sailing from Amsterdam to Auckland aboard Vasco da Gama. 53 Night Cruise sailing from Tilbury to Sydney aboard Vasco da Gama. 49 Night Cruise sailing from Tilbury to Auckland aboard Vasco da Gama. 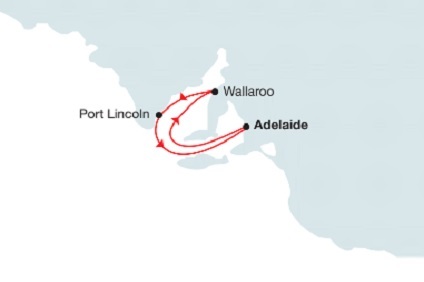 58 Night Cruise sailing from Tilbury to Adelaide aboard Vasco da Gama. 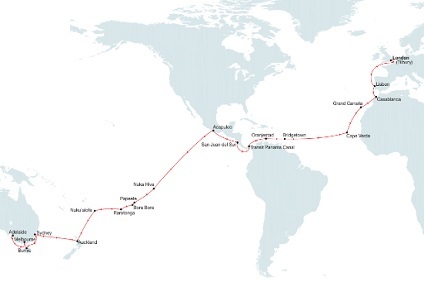 9 Night Cruise sailing from Auckland to Adelaide aboard Vasco da Gama. 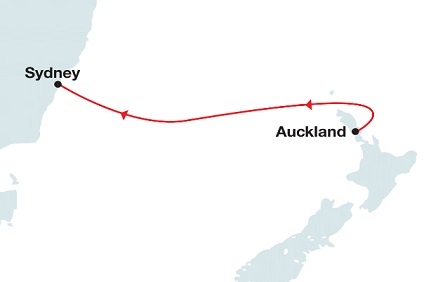 4 Night Cruise sailing from Auckland to Sydney aboard Vasco da Gama. 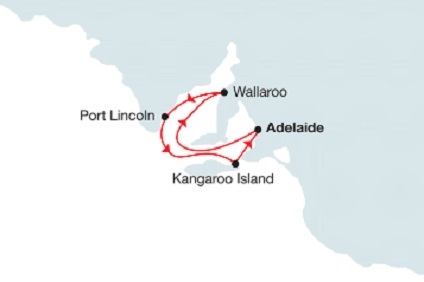 3 Night Cruise sailing from Adelaide roundtrip aboard Vasco da Gama. 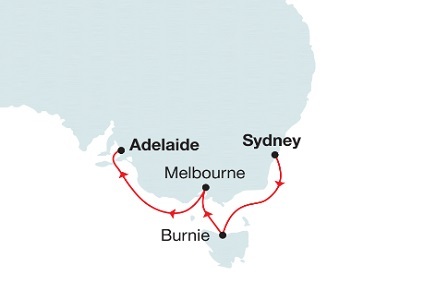 8 Night Cruise sailing from Adelaide roundtrip aboard Vasco da Gama. 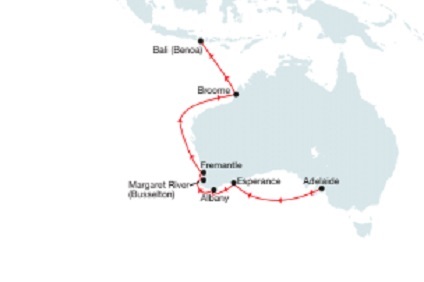 4 Night Cruise sailing from Adelaide roundtrip aboard Vasco da Gama. 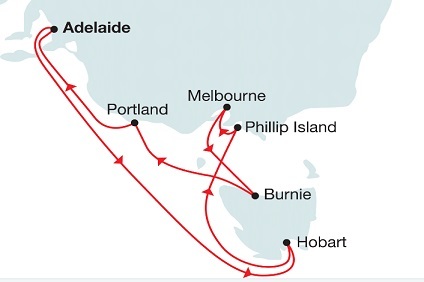 10 Night Cruise sailing from Adelaide roundtrip aboard Vasco da Gama. 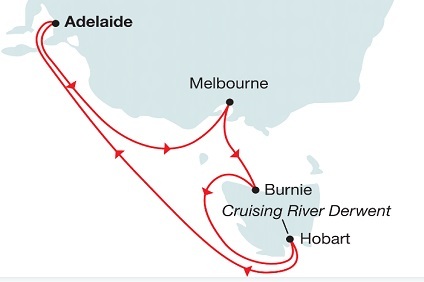 2 Night Cruise sailing from Adelaide roundtrip aboard Vasco da Gama. 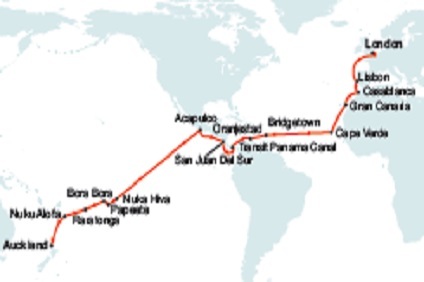 13 Night Cruise sailing from Adelaide to Benoa aboard Vasco da Gama. 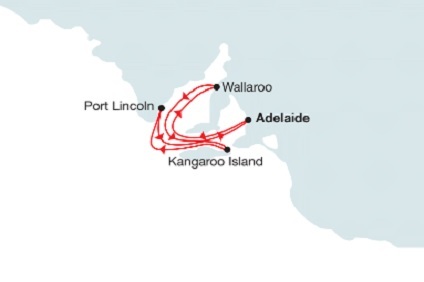 7 Night Cruise sailing from Adelaide to Perth aboard Vasco da Gama. These ocean view cabins all offer private en-suite facilities with bath and shower over plus ample hanging and storage space. They are twin/double bedded and are located midship on A Deck 4. Located midship on A Deck 4, these twin/double cabins offer private en-suite facilities with bath and shower over plus ample hanging and storage space. The majority have a third and/or fourth berth. All these cabins interconnect with the adjacent cabin when required. These cabins on A Deck 4 and Main Deck 5 are with port hole ocean view. All these twin/double cabins offer private en-suite facilities with bath and shower over (4010, 4011, 4014, 4015, 5006 and 5007 have shower only) plus ample hanging and storage space. Cabins 4006, 4007, 4022 and 4023 provide accommodation for a third and/or fourth occupant. Cabins 4101, 4011, 4014 and 4015 are equipped for passengers with specific mobility limitations and their companions. Located on A Deck 4, these cabins all offer private en-suite facilities with shower plus ample hanging and storage space. They are twin/double bedded and some have a sofa-bed for a third occupant.